Dr. Hart graduated from the University of Texas in Austin, and Temple University School of Dentistry; graduating from Dental School in 2007. 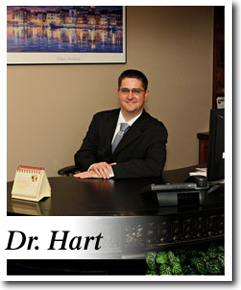 Dr. Hart worked as an Associate in a comprehensive restorative practice in Conroe and a general practice in Livingston before buying Advanced Dental Care in 2010. Dr. Hart’s other experience comes from working with Lab Corp as a Cytogeneticist for six years while attending undergraduate and dental school. 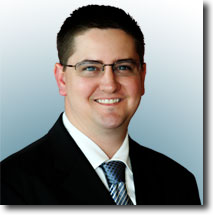 Dr. Hart belongs to the Brazos Valley District Dental Society, the Texas Dental Association, Academy of General Dentistry and the American Dental Association. He also believes strongly in Continuing education for both himself and his team members. Dr. Hart is married to Lisa Harbin Hart and together they have three children. They attend West Conroe Baptist Church, and one of Dr. Hart’s favorite things to do is reading and studying God’s word. He has volunteered to go on Mission Trips to the Dominican Republic and the Micronesian Islands of Yap and Fais. Dr. Hart enjoys spending time with his wife and children including coaching his son’s baseball team, Officiating at swim meets, playing tennis, bowling, traveling and watching UT football games, of course! Our patients enjoy first-rate communication on everything from dental services to insurance questions, as well as the excellent dental care you deserve from our experienced and qualified team.